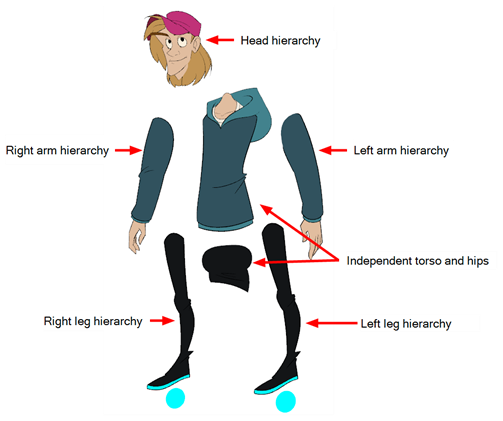 In Harmony, a character rig is basically a template based on your character's model, but in which all movable parts are broken down into different layers, and arranged in a hierarchy that facilitates digital animation, also known as cutout animation. 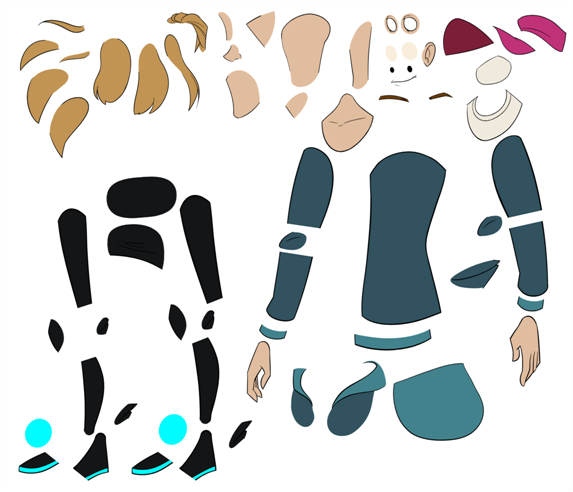 To make a puppet, we must first make sure you have a character model to build on. If you have any drawing of a character available on your computer, import it into a new scene, then scale and position it to your liking. Once you have a model ready, we can start breaking it down into parts to build your rig with. 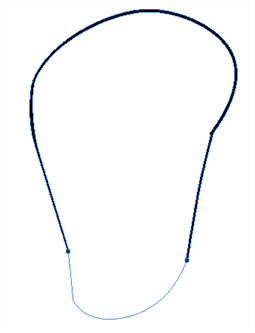 Pegs are a special type of layer that do not contain any drawing. They are used strictly to offset and transform drawings that are under their hierarchy, without transforming the actual drawing. 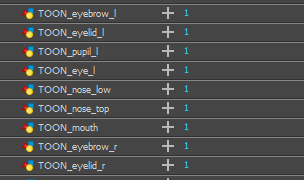 When rigging or setting up a scene, it is recommended to add parent pegs for each of your drawing layers. This allows you to keep animation keyframes and drawings on separate layers, making it easier to work on the position and exposure of your drawing layers independently in the Timeline view. 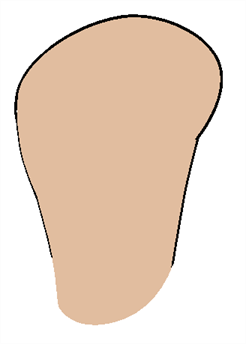 It also makes it easier to create a hierarchy of which body parts can be animated together and independently. 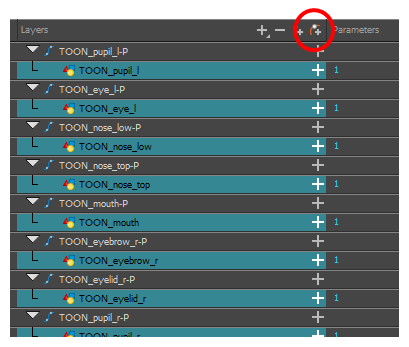 If you want to animate only on pegs, you can activate the Peg selection mode of the Transform tool in the Tool Properties view. 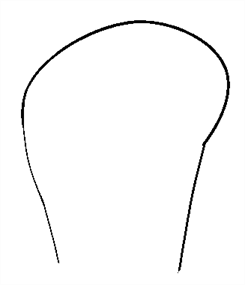 You can also disable animating drawing layers, so that only pegs can be animated. NOTE: It is also possible to make drawing layers the children of other drawing layers. 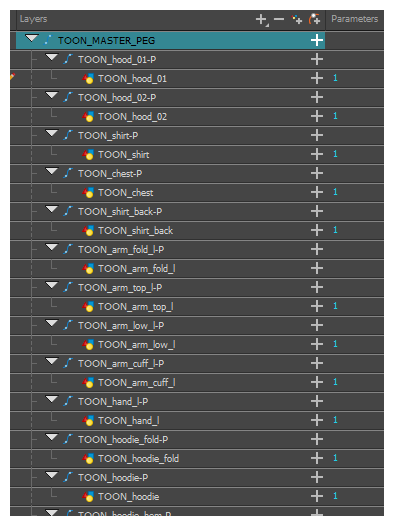 Just like the way animating a peg animates its children layers, animating a drawing layer with children will also animate its children layers. NOTE: In the Timeline view, you can unparent layers by holding down Shift and dragging the selected parents away from the child layer. Drop your selected between other layers. 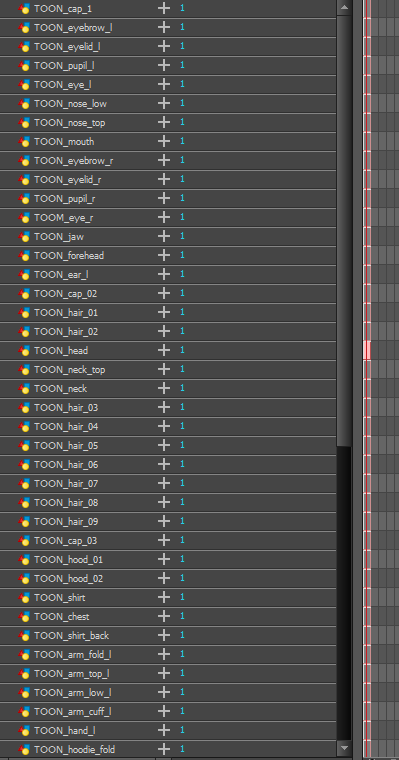 When rigging, keep in mind that the order of the layers in the Timeline view affects the order in which they're rendered. Layers on top of the list will be rendered over layers at the bottom of the list. 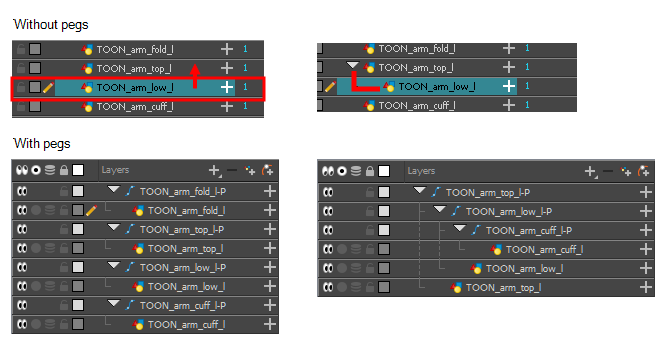 Should you need to change a layer's order while animating, you can nudge this layer's position on the Z-axis to override the layer order and force it to appear beneath or over other layers. 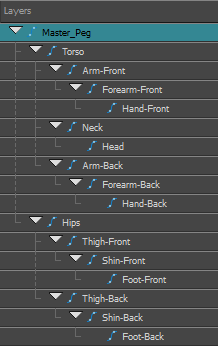 Your character rig should always have a master peg which connects to all of its parts. The master peg allows you to manipulate the entire rig from a single layer, without having to manipulate each individual part. 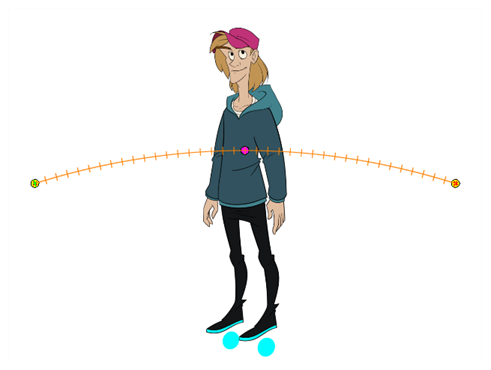 This is useful for positioning and scaling your character relative to the scene, as well as to animate your character's trajectory when it has to move between areas of the scene. In the Timeline view, select the top layer.